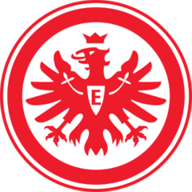 Borussia Dortmund ended a run of three successive DFB-Pokal final defeats with a 2-1 victory over Eintracht Frankfurt at Berlin's Olympic Stadium on Saturday. Striker Pierre-Emerick Aubameyang, who reportedly handed in a transfer request this week, scored his 40th goal of the season from the penalty spot for Dortmund midway through the second half to clinch the club's fourth German Cup title and first in five years. Aubameyang also hit the crossbar late on as Dortmund put the defeats to Bayern Munich (twice) and Wolfsburg behind them in a record fourth-in-a-row final appearance. Dortmund took the lead after just eight minutes when Ousmane Dembele picked up where he had left off with his semi-final winner against Bayern. The midfielder reached double figures for the season with a left-footed shot from a tight angle. However, they could not press home their advantage and on the half-hour, Frankfurt, appearing in their first cup final for 11 years, equalised through Ante Rebic. 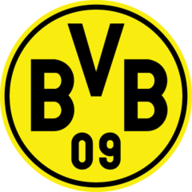 Dortmund replaced Marco Reus and Marcel Schmelzer with Gonzalo Castro and Christian Pulisic at half-time and it was the latter who won the penalty after he was fouled by Lukas Hradecky, allowing Aubameyang to his 40th in 46 matches this season.